Thread Check proudly offers Meyer Gage’s Pin Gauge Libraries. The leader in producing high-quality yet affordable pin gage sets, Meyer Gage’s Class Z pin gages offer a closer tolerance than Class ZZ gages, to meet and/or exceed the requirements of Class ZZ gages. Therefore, the Class Z Pin Gages can replace Class ZZ in any situation or application that calls for the Class ZZ. 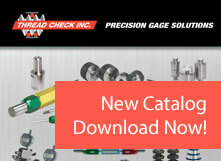 Browse Thread Check’s online catalog of Class Z Pin Gage Libraries that feature a complete selection of sizes in both English and metric. These gages are manufactured in the U.S.A. and inspected to ensure 100% accuracy to meet the closer gagemaker tolerances of .0001" inches and .0025mm. Moreover, the gauges are heat-treated to a hardness of 60-62 Rockwell C for durability and long wear. Class Z Pin Gauge libraries offer added convenience and efficiency in the workplace or in the field. All Class Z Pin Gages are traceable to NIST standards, and marked on both the boxes and the gages. Class Z Pin Gages are ideal for a wide range of tolerance applications, such as setting micrometers, calibrating equipment, GO and NO/GO gaging, measuring hole sizes and depth, and checking locations and hole distances. Crafted from 52100-grade Bearing Steel, every gage in our selection of Class Z Pin Gage Libraries has a 51mm overall length, the gauges advance in .02 increments. Additionally, every gage has been centerless lapped, and features an 8-microfinish or better. Every metric gage tests within a .0025mm tolerance limit. If you have a question, please contact our representatives. 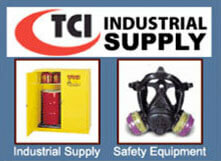 For more information, to receive a quote, or to place an order, please contact us at (800) 767-7633.